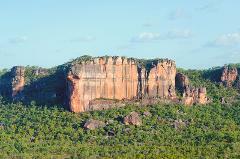 Kakadu is a region of changing landscapes, impressive land forms, dynamic ecosystems and rugged wilderness. To gain a real appreciation and see untouched lands, a scenic flight is a must. Timed just right - Not too long and not too short! 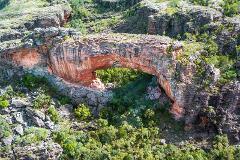 This affordable and educational 1/2 hour fun flight is a must do Kakadu experience. Be amazed as views change each minute you fly along a spectacular variety of land forms. 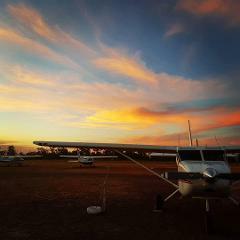 The Sunset Spectacular shares the same fantastic flight path as the 60 minute scenic flight but what makes this flight so special is the added bonus of watching the sky light up with orange and pink hues as you fly Kakadu National Park.